Ok, I have not been putting much on the blog recently. 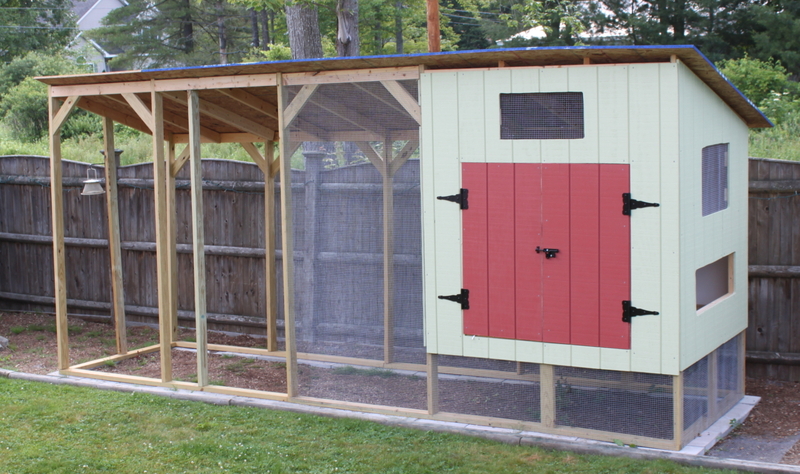 I have been crazy busy these past few weeks, and a big part of that has been the chicken coop….or the Chick Mahal as my father started calling it. I am almost there…all I have to do is finish the egg door and mount it, finish the windows for the vent screens and mount those, screen in the vents at the roofline of the coop, finish mounting the pop door and rig up the mechanism so it opens from the outside, finish making the ramp for the pop door, finish screening in the run, put down a linoleum liner inside the coop, put sand down in the run, build a ramp for the pop door, mill and mount some rain diverters for over the windows and doors, put a roof on it, then go back and weatherstrip/seal it. The pros–this is a long holiday weekend. The cons — I am working this weekend. Well, off to Home Depot for shingles!